Bangladesh announced this week that it will send back over 2,000 Muslim Rohingya refugees to Myanmar, stoking concerns about the prospect of returning them to an increasingly dire situation. "Myanmar has agreed to repatriate some 2,415 Myanmar nationals who are living in the refugee camps in Cox's Bazar [southeastern Bangladesh]," Shahidul Haque, secretary at the Ministry of Foreign Affairs in Dhaka, told IRIN. "We consider it a major breakthrough. They have remained verified [for repatriation] since 2005." The Rohingyas have long faced persecution and discrimination, including being stateless in the eyes of Burmese law. Myanmar's government claims that historically they are illegal immigrants from Bangladesh and labels them 'Bengalis', vehemently denying the existence of any people called 'Rohingya'. The Bangladesh government would like the Rohingya refugees on its territory repatriated. Outbursts of violence - called ethnic cleansing of the Rohingya by some - in Myanmar in 2012 led to 140,000 people (mainly Rohingyas) living in camps in Rakhine State, where they remain today. "Our biggest concern is if we will be safe back in Burma? We don't have any rights in Burma. We don't have any dignity as human beings there. We are not entitled to our identity. Our properties and religious institutions are damaged. How we can be assured that we would be safe out there?" According to the UN Refugee Agency (UNHCR), there are 200,000 to 500,000 Rohingyas in Bangladesh, of whom only 32,355 are documented and living in two government camps assisted by the agency, both within 2km of Myanmar. Most live in informal settlements or towns and cities in what Médecins Sans Frontières (MSF) has described as "deplorable conditions". From 1992 to 2005, around 230,000 Rohingyas returned from Bangladesh to Myanmar under an agreement between the two governments, but the repatriation process stopped when the Burmese government refused to extend the agreement. The decision to restart repatriation procedures was announced after the eighth round of consultations between the governments of Bangladesh and Myanmar in Dhaka on 31 August. 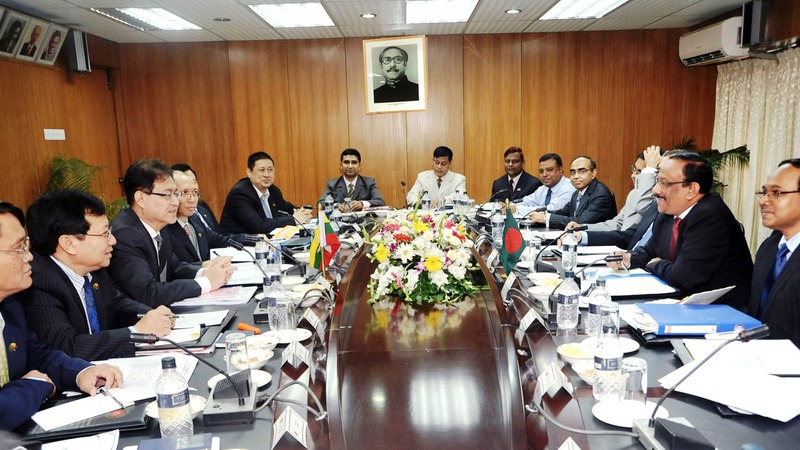 "Both sides agreed to start work on the formation of a joint committee within two months to exclusively deal with the issues of repatriation of refugees and their offsprings," Haque explained, adding that repatriation would begin once the joint committee was in place. Onchita Shadman, communication and public information associate at the UN Refugee Agency (UNHCR) in Dhaka, explained: "We have learnt about an agreement between the two countries and are looking forward to finding out more information about the proposed repatriation." A Rohingya man who lives in a sea side informal settlement in Bangladesh. While details remain for the committee to decide, Rohingya refugees in Bangladesh greeted the announcement with mixed emotions - the prospect of returning home is both a cause for excitement and trepidation. Life as a refugee in Bangladesh is difficult; but the humanitarian situation in Rakhine State, which Rohingyas call home, has worsened in recent months as some aid agencies have withdrawn following attacks on facilities in March over perceived pro-Rohingya bias. In March international aid workers fled Rakhine State after being targeted by Buddhist mobs who threw rocks at homes and offices in Sittwe (Rakhine's capital), over perceived humanitarian bias towards Rohingyas. Agencies have been slowly resuming full-scale operations since then. During a 13 June visit to camps for internally displaced people in Rakhine State, the assistant secretary-general for humanitarian affairs and deputy emergency relief coordinator, Kyung-wha Kang, called the situation "appalling, with wholly inadequate access to basic services including health, education, water and sanitation." 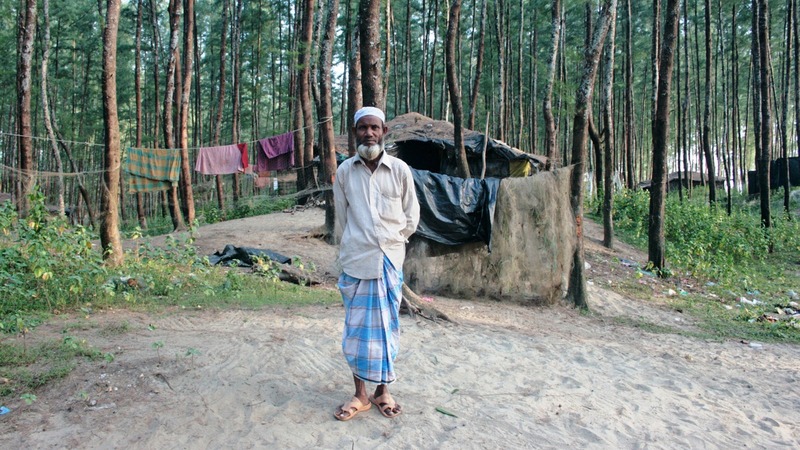 Mohammad Islam, a Rohingya refugee who lives at the Noyapara Rohingya Camp in Cox's Bazar, told IRIN: "I am really thankful to Bangladesh government for the initiative. We would be very delighted even if some of us can go back to Burma, because that's our home." Bi-lateral discussions between Myanmar and Bangladesh in recent years have attempted to plan the future fate of the Rohingya refugees in Bangladesh. However, the 30-year-old said, choking back tears: "Our biggest concern is if we will be safe back in Burma? We don't have any rights in Burma. We don't have any dignity as human beings there. We are not entitled to our identity. Our properties and religious institutions are damaged. How we can be assured that we would be safe out there?" According to Shadman, "UNHCR hopes that any repatriation will be voluntary and in line with international standards thereby ensuring the safety and dignity of refugees." However, the deteriorating situation and ongoing tensions in Myanmar's Rakhine State have others worried that any return could be dangerous for Rohingyas. "We are ready to go back, but we are worried that we might have to face similar persecution again for that we once fled Burma," said Mohammad Zubair, 26, a Rohingya refugee at Noyapara Camp. "Now under these circumstances, if we go back, who will ensure that we will be safe there? I appeal to the Bangladesh government and the international community to create a congenial atmosphere for Rohingyas so that we are safe when we are back in Burma." According to Islam, between 1992 to 2005 "more than 200,000 Rohingya were repatriated to Burma, but as much as 77 percent of them were forced to do so. They did not want to go back because they feared that they would not be safe there." Observers have noted that past attempts to repatriate Rohingyas from Bangladesh have been problematic. "The Rohingya repatriation, which the Bangladeshi and Burmese governments began in September 1992, was troubled from the outset," Human Rights Watch said, pointing to the December 1992 withdrawal of UNHCR from the joint repatriation programme with the Bangladeshi authorities after just a few months of operation "when it became clear that coercion was continuing". An attempt in 2011 to repatriate the same 2,415 people (confirmed Myanmar citizens) now slated for return also failed, but Haque told IRIN he was confident that this time the process would be followed through. Myanmar Deputy Minister for Foreign Affairs U Thant Kyaw explained in a statement that Myanmar was prepared to receive the 2,415 Burmese citizens after the joint committee was formed, but asserted: "We have never had ethnic nationals called 'Rohingya', according to official list of indigenous ethnic groups of Myanmar as well as our historical records."